Time: Gates open at 16h00, concert starts at 17h30 to 19h00. 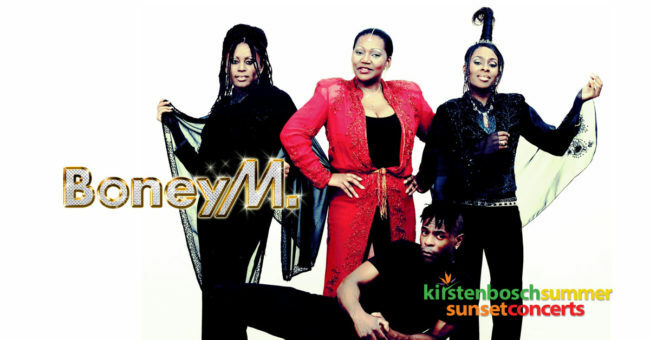 Boney M. Featuring Liz Mitchell usher us into Christmas Day at the Kirstenbosch Summer Sunset Concerts. Fans will be very happy to know that Liz Mitchell, the original lead singer of Boney M, will be performing the songs that we all know and love. Cost: From R290 for youth (6 – 21 with ID), R350 for adults, children under 6 enter for FREE.